Launched more than a decade ago in June of 2006, Branding Strategy Insider reaches 50,000+ marketing oriented leaders and professionals daily. We focus on delivering meaningful content that promotes an elevated conversation on the discipline of brand management and fosters community among marketers. We do not focus on banner or link advertising. Our limited ad spaces, sponsored post and brand messaging opportunities ensure your message is clear and exclusive. 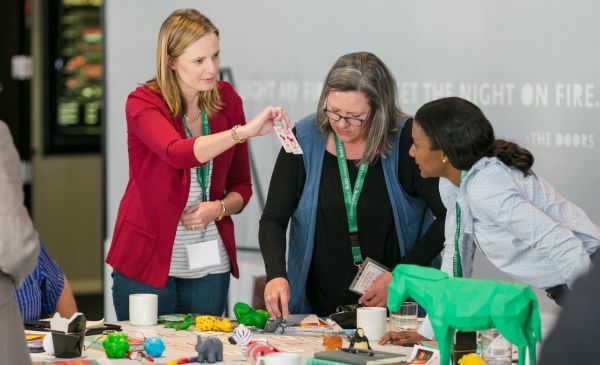 We also offer opportunities to pair your campaign with The Un-Conference: 360 Degrees of Brand Strategy for a Changing World — Limited to 50 participants and open to the public, this two-day, competitive-learning event is better described as an experience. Every May marketers from around the world compete and learn on teams, facing real world marketing challenges together. It’s fun, intense and the outcomes are highly valuable. As in the marketplace — some will win, some will lose, All will learn. Advertising on Branding Strategy Insider is reserved for organizations that have a product or service that directly benefits marketing oriented leaders and professionals. 1. Page one, number one rankings for marketing relevant topics on all major and minor search engines. 2. Promotion from our newsletter, website, email footer, speaking engagements and brand education workshops. 3. A rapidly growing list of popular blogs, websites and news outlets that have linked to us, quoted us or have recognized us in some fashion. 4. Inclusion in all major blog directories and robust visitor streams from Apple News, Washington Post, Wall Street Journal, Google News, USA Today, Chicago Sun-Times, Reuters News, BusinessWeek, Fast Company, CNN, San Francisco Chronicle, The New York Times, Forbes, Twitter, Facebook Blog Network and several other respected sources who carry our RSS feed. 5. Content. We have built a loyal readership base and attract new readers daily by publishing content with a blend of academic and real world angles from renowned branding experts. New content is added every business day of the year. Our content partnerships with Wiley, Palgrave Macmillan and the Harvard Business Press supports our goal of delivering thought provoking content that betters the marketing community. Who reads Branding Strategy Insider? Brand Managers, Brand Owners, CEO’s, CMO’s, CFO’s, Brand Researchers, Marketing Executives, Advertising Executives, Media Professionals, Brand Consultants, HR Professionals, Educators and Thought Leaders. Who advertises on Branding Strategy Insider? Organizations who specifically desire to reach marketers. Nielsen Business Media, Institute for Research in Marketing and the Scent Marketing Institute to name a few. We are highly selective of who advertises here. Can advertising agencies advertise here? Certainly. In fact we seamlessly support ad agencies in branding initiatives. What do your advertisers say about their results? *Featured Recognition* Branding Strategy Insider is recognized by Advertising Age as a Power 150 blog. One of the most influential marketing blogs in the blogosphere. Currently we are ranked in the Top 50 of the 1000+ blogs tracked and number one for the niche topic of corporate branding. Build your brand awareness and revenue with our community of decision makers – contact Derrick Daye for more.